Notorious (television) Hour-long drama series on ABC, premiering September 22, 2016 and ending December 8, 2016. There is a symbiotic relationship between charismatic defense attorney Jake Gregorian and powerhouse TV producer Julia George. When Jake’s clients find themselves in the nation’s spotlight, he uses the media to sway public opinion. Meanwhile, Julia, the executive producer of Louise Herrick Live, the No. 1 TV news program in the country, capitalizes on Jake’s clients’ notoriety. Everyone’s motives are suspect and morality is subjective, but together they make great TV and determine the nation’s headlines. 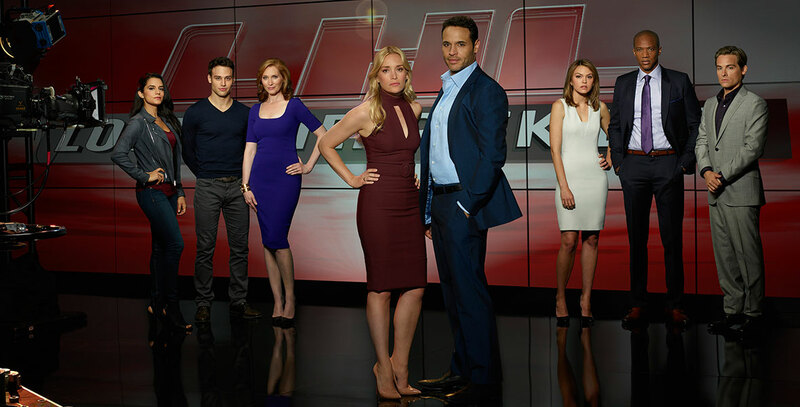 Stars Kate Jennings Grant (Louise Herrick), Daniel Sunjata (Jake Gregorian), Piper Perabo (Julia George), Sepideh Moafi (Megan Byrd), Ryan Guzman (Ryan Mills), J. August Richards (Bradley Gregorian), Aimee Teagarden (Ella Benjamin), Kevin Zegers (Oscar Keaton). From Sony Pictures Television and ABC Studios.